Sandi Anderson thanks the community alongside Commission John Martin after receiving the Above and Beyond Award. 16-year-old Chandra Starr looks back at her family after they realize she's won a humanitarian service award, and the crowd breaks into applause. 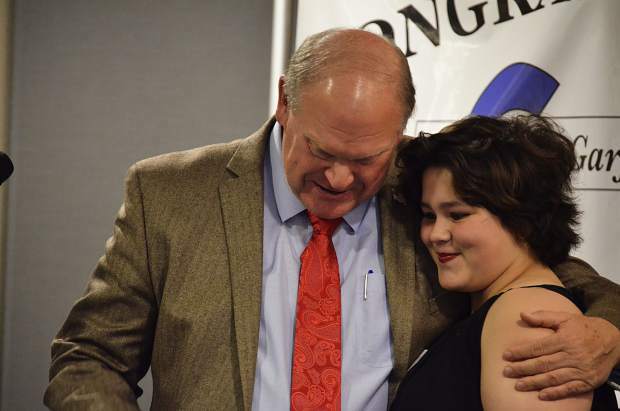 Commissioner Mike Samson awards 16-year-old Chandra Starr the Nourishing the Future Award at the 2017 Garfield County Humanitarian Service Awards. Vice president and radio host at La Tricolor, Sam Bernal was recognized with the Talk of the Town Award. Jamie Darien receives the Tireless Champion Award. Alexandra Yajko was named the winner of the Legacy Award. 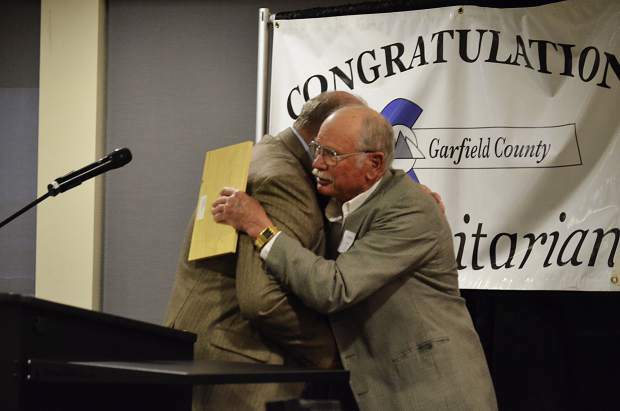 Larry Bernat embraced Commissioner Mike Samson upon winning the Building Community Award. 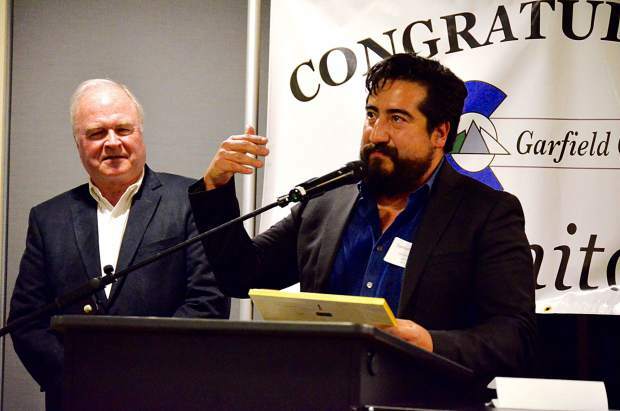 Samuel Bernal, vice president and radio host at the Basalt-based La Tricolor, a Spanish-language radio station, was honored with the “Talk of the Town” award. Catholic Charities praised Bernal for quickly joining the leadership of the Law Enforcement Immigrant Council, formed in 2013. 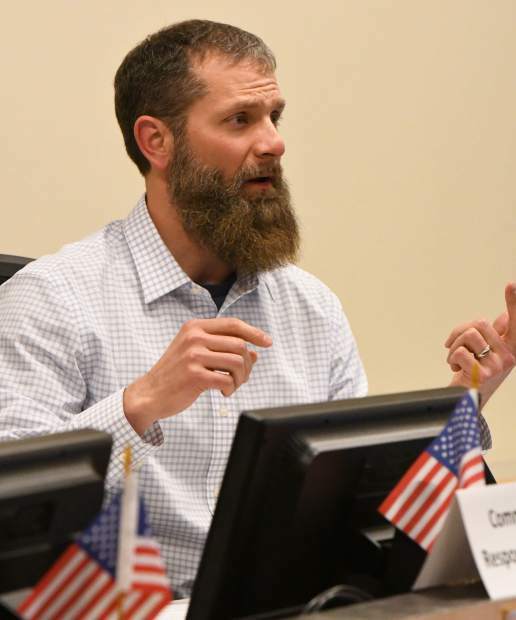 Bernal simultaneously sits on various other committees, and both the Aspen and Basalt police chiefs praised his efforts to bring together the Latino and Caucasian communities. Bernal has been active in programs to help Hispanic immigrants learn English. 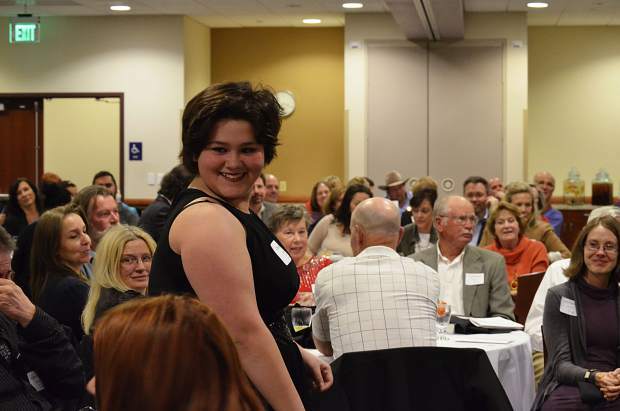 Chandra Starr, a 16-year-old Glenwood Springs high school student, received the Nourishing the Future Award, after having started an initiative that became a nonprofit charity, using her own experiences of homelessness and hunger. At a young age, she and her family became homeless, surviving off of food pantries. Starr told the Post Independent that she had developed diabetes very young because the only food they had access to was so unhealthy. When she was only 13 she launched the Million Penny Project, as part of a Girl Scouts project, to raise 1 million pennies to get fresh produce in local food pantries, wrote Andrea Matthews, president of Chandra’s Hope Projects. Eventually, her project would raise much more, and she would donate $20,000 to form the nonprofit that would become Chandra’s Hope Projects, which focuses on gardening to help the hungry with nutritious food. “Ms. 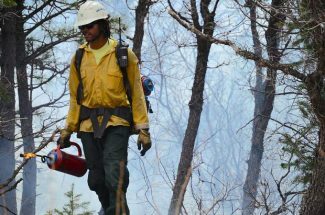 Starr has proven that resilience and compassion with the temerity to act locally can have a significant impact on a greater scale,” wrote Matthews. Jamie Darien, a former special education teacher and persistent volunteer who retired last year after 30 years in education, was awarded the Tireless Champion Award. “For as long as I have known Jamie, she has been a fighter for those with less,” wrote Nancy Reinisch. In retirement she continues to work regularly at Feed My Sheep among the numerous hours she puts in volunteering for other causes, including as a restorative justice facilitator for YouthZone for nearly six years. Alexandra Yajko, who is currently the major gifts officer at the Valley View Foundation, received the Legacy Award. 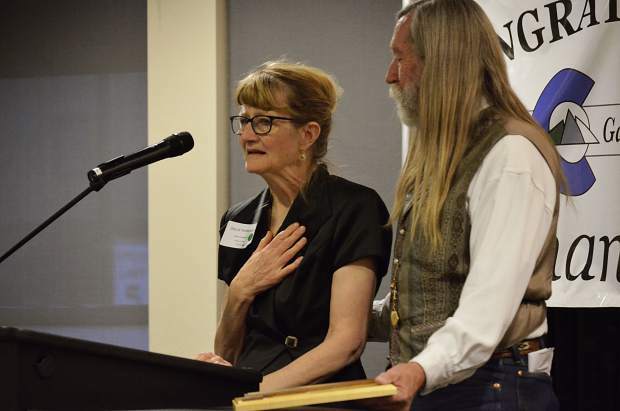 Also the first female dean of Colorado Mountain College, Yajko raised $40 million to support CMC students when she later became dean of the CMC Foundation, according to Donn Willins, who nominated her. “In this latter role, she brought the foundation from a fledgling organization to a highly successful one that is now able to offer substantial scholarship opportunities to many deserving students,” Bob Young wrote to the selection committee. 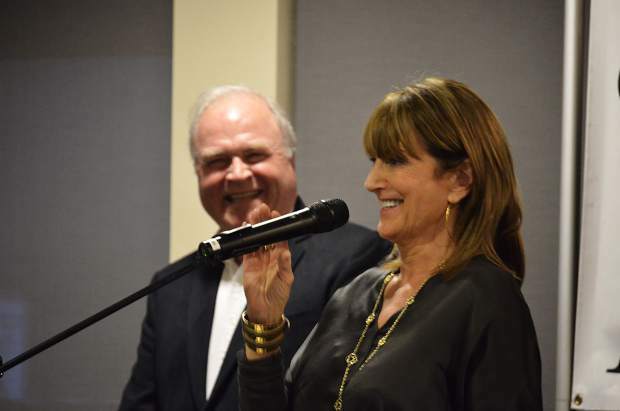 At the Valley View Foundation, she helped raise $12 million, including the majority of the money to create the Calaway-Young Cancer Center, Willins wrote. Both Jim Calaway and Bob Young, namesakes of the cancer center, endorsed Yajko for the award. “In her various positions in serving the community, Alex did so in a most unselfish manner. She always put the needs of the community first and foremost in her service roles,” wrote Young. Larry Bernat received the Building Community Award. Bernat got started volunteering with Habitat for Humanity in 2009, and he’s been at it incessantly since. “Larry has hammered a nail in all 20 of the homes we have built since 2009,” said Amy French, volunteer coordinator at Habitat for Humanity Roaring Fork Valley. “Thanks to Larry’s invaluable help, more than 50 children are living in stable affordable homes,” wrote French. 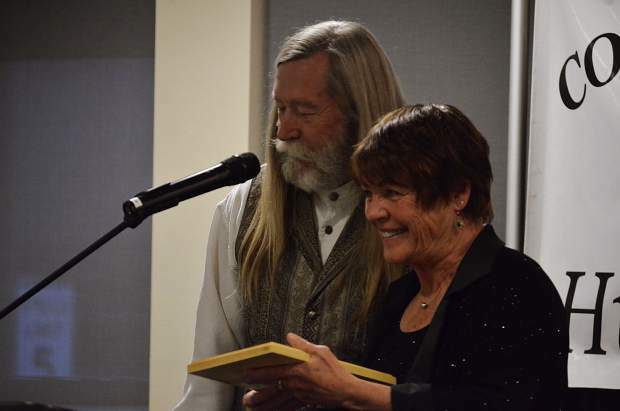 Kaaren Peck wrote in a nomination, saying that, for years, Bernat has also volunteered for many other causes, including Meals on Wheels for more than 10 years, the Grand River Hospital District, St. Mary’s Catholic Church and Colorado Parks and Wildlife. Sandi Anderson, soon to retire from CMC, was honored with the Above and Beyond Award. Anderson “has had a remarkable impact on our community for many years,” wrote Dr. Carrie Hauser, CMC president, and Linda English, CMC vice president of financial affairs. 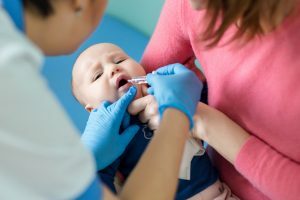 She’s been involved in literacy outreach programs, been a leader at the Glenwood Springs Kiwanis Club and has been active with the Salvation Army for about 10 years. “She not only has volunteered for literally thousands of hours, she is instrumental in recruiting others to get involved,” wrote Hauser and English.